Does Anyone Have a ROM? No, not ROM Spaceknight, you comics aficionado sillies; ROM as in the über-high-end 4-minute workout machine that just screams Range of Motion (hence the acronym). I found out about it one night whilst venturing into the back pages of my Atlantic Monthly, something I rarely do for fear of being pelted by the conclusions of articles that have already taxed my ADD-addled attention span to the limits, arranged between ads for the Belgian Waffle Pro and custom-crafted leather bookbinding. I know, it’s what I get for subscribing to The Atlantic (and Harpers, and Mother Jones, and other magazines that make me what my friend Gareth calls ‘a certified member of the liberal white guilt intelligentsia’). 1. Total disbelief that the ROM can do all this in only 4 minutes. 2. 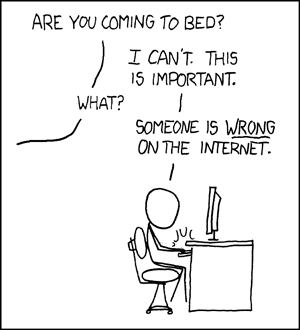 Rhetorical (and sometimes hostile) questioning and ridicule. 3. Reading the ROM literature and reluctantly understanding it. 4. Taking a leap of faith and renting a ROM for 30 days. 5. Being highly impressed by the results and purchasing a ROM. 6. Becoming a ROM enthusiast and trying to persuade friends. 7. Being ignored and ridiculed by the friends who think you’ve lost your mind. 8. After a year of using the ROM your friends admiring your good shape. 9. You telling them (again) that you only exercise those 4 minutes per day. 10. Those friends reluctantly renting the ROM for a 30 day trial.Then the above cycle repeats from point 5 on down. From 4 minutes on the ROM you get the same results as from 20 to 45 minutes aerobic exercise (jogging, running, etc.) for cardio and respiratory benefits, plus 45 minutes weight training for muscle tone and strength, plus 20 minutes stretching exercise for limberness/flexibility. Well, I’ve poked around the internets, running keyword searches like “ROM scam” and “ROM ripoff” – nada. Instead, I see testimonials from people who really seem to be losing weight, building muscle, feeling better, and having more time on their hands. For someone who’s never been into sports (or athletics of any kind for that matter), I’ve gotta admit: four minutes a day is appealing. I just turned 29 last month. Less than one year from 30, I’ve been taking a lot of inventory of my life. In my Foresight@Regent courses, we learn a mode of personal and organizational learning called Systems Thinking – popularized by Peter Senge of The Fifth Discipline fame. The gist is we’re always creating the life we live; we’re always designing it. The problem is, most of us design it by default, unconsciously, and often in self-sabotaging ways. Bringing life-design to a conscious level is a skill set we humans are just developing. (Hence the rationale for Strategic Foresight, btw) This ‘intelligent design’ happens on societal levels of course, but also personal. These past couple of years I’ve been privileged to have some wonderful people in my life – mentors, life coaches, and even (gasp!) therapists and counselors who are helping me work through my ‘shadow’ sides and interact with reality in a more healthy and whole manner. I guess what I’m seeking is integration, a whole life well-lived for myself and others. Isn’t that what we all want? Engage in centering prayer daily – ’cause we can all use more of the conscious fellowship of the Godhead in our lives. …and I want to do all this in about an hour a day. Because I want to delve more deeply into my studies, love my family more, spend more time with my neighbors, and hang out more with my friend Hugh Hollowell and his homeless friends downtown. Stuff I think I could do with some whole-life cross-training. What if I could somehow procure a ROM? (I have my ways) Would any of you, dear readers, be interested in charting my progress with me? I’m thinking I’d blog about what it’s like for a time-management-challenged guy like me to engage in some ‘intelligent life design,’ how it feels to make positive, healthy, & consistent changes, and if this ROM thing really does what it says. Since workouts are ostensibly only four minutes long, I’m thinking that once a week I’d actually record my entire workout and put it on YouTube or Vimeo or something. It might not be as funny as Will It Blend?, but I’m thinking a pasty white guy like me working out could provide some of you with catharsis or comic relief. You want to make fun of me. Update 12/10: I’m getting a ROM! Church: Safe Place or Jonestown Massacre? So apparently today is the 30th anniversary of the Jonestown Massacre. I don’t normally post press releases to my blog. In fact, I don’t think I ever have. But something struck me about this one – I guess my sick sense of humor more than anything, contrasting the Jonestown Massacre with ‘Church as a Safe Place’ (which I’ve heard is, in fact, an excellent book). Like “Hey, honey, why don’t we check out that People’s Temple this Sunday? That Reverend Jones is such a powerful speaker!” Safe Church FAIL! Today, November 18, 2008, marks the 30th Anniversary of the Jonestown Massacre. Religious leader Jim Jones, founder of the Peoples Temple, promised his followers a safe place, a utopia in the jungles of Guyana. However, soon after their settlement was established, rumors of human rights abuse made their way back to California, where many of the almost 1000 inhabitants had migrated from in order to escape media scrutiny of their group. During a visit by a delegation led by California Congressman Leo Ryan, Jones and members of the group felt threatened by the investigation along with the fact that some of the members had requested the delegation’s help to leave the camp. As Ryan’s delegation and the defecting members were boarding planes on an air strip preparing to leave, a group from the Temple’s security forces gunned down and killed several of the passengers, including Ryan. Following the air strip shootings, Jones led over 900 members of his group in a mass suicide. 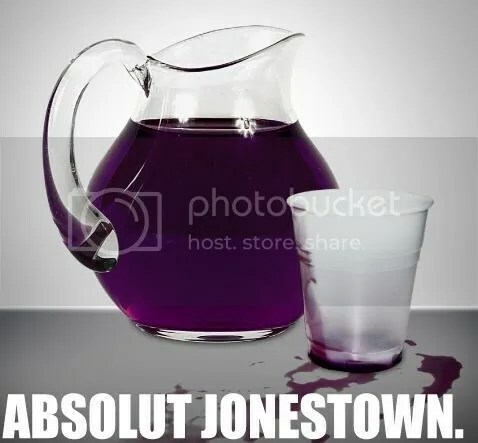 “The Jonestown massacre is one of the worst cases of abuse in any religious setting in the 20th century. What is particularly tragic is that trust was breached on a huge scale, allowing one dying man to abuse 900 by taking their lives with him,” states Peter Holmes, author of Church as a Safe Place. In their new book, Church as a Safe Place, authors Peter R. Holmes and Susan B. Williams expose the truth about abuse in the church, challenging churches to be the safe places God has created them to be. People come to church looking for a haven from this abuse. Unfortunately, they often discover that the church isn’t so different from the rest of the world, after all. Many ask what exactly does abuse in the church look like? Holmes and Williams contend that “abuse” includes the many different ways people mistreat each other and create an environment that makes people feel unsafe and uncomfortable. It can happen when church leaders become “Messiah figures” and misuse their power or when a church member lashes out at someone else in anger—even when portions of Scripture or the use of the phrase “It’s God’s will” are used to inflict additional pain on someone who is already suffering. Church as a Safe Place (Authentic Media) takes a comprehensive approach to confronting, resolving, and minimizing abuse in the church. Drawing from both Scripture and their many years in therapeutic church ministry, the authors have set up a framework for dealing with complaints of abuse in the church and taking steps to prevent abuse from occurring in the first place. The handbook includes many specific suggestions for handling difficult situations and covers topics ranging from the proper protocol for individual counseling sessions to the correct use of confidentiality. The authors also devote a chapter to resisting the blame culture, a natural response many feel when they begin to recognize that they have been mistreated. Of course, it could all be a massive conspiracy. Showing Lazarus’ authorship of John isn’t why Dr. Ben writes Making a Meal of It, nor is it why I’m reading it. Nonetheless, its a segue that is alone worth the price of the book. Check it out! I had a great dinner the other night here in Raleigh (at Bogarts, mmm) with my friend Mark from Zondervan/Symtio, a new audio/eBook hybrid platform launching to serve the Big Z and several other houses. We had a great conversation about Foresight@Regent, ministry, and the future of publishing in all its technological and authorially-empowered glory. One cool thing I learned about is a little-publicized full audiobook giveaway of Cathleen Falsani’s incendiary tome Sin Boldly. Falsani is a Wheaton grad and religion Chicago Sun Times, Huffington Post, and Religion News Service. I haven’t read (or listened) to the book yet, but with a dual background in evangelicalism’s heartland and those godless liberal media (grin), I’m sure it’s interesting. Ah, Lutherans – such a way with words! Because I’m kinda New Perspective-y, I wrestle somewhat with Luther’s late Medieval psychologized reading of Paul and texts discussing grace. I think Luther equated 1st century Jewish folk with his contemporary Catholics, and Hebrew Law with Canon Law and his own conscience, and well…things got complicated. But! Let me be the first to sing Amazing grace, how sweet the sound! We interpret the meaning and scope of grace differently from age to age, but I think any person of faith, hope, and love rejoices in God’s compassionate grace revealed in the face of Jesus. So back to Lutherans for a sec. From Nadia Bolz-Weber (whose own book, Salvation on the Small Screen, is just delightful) to Robert Farrar Capon – who isn’t technically Lutheran but I’d like to say Episco-Lutheran in a way that’d make Karen Ward proud – some of favorite grace theology, practice and storytelling comes from Lutherans. I have no idea if Falsani is a Lutheran. And on that note, please, download the audio book here while it’s still available (and then go buy a truckload if you like it – its the only way publishers will have their fears assuaged and keep trying these nu-media experiments). And check out this short YouTube interview with Falsani. Cross-Gender Friendships – Too Hot for Christians? So Dan just got picked up by agent extraordinaire Chip MacGregor, and they’ll be shopping this manuscript around to the right publishers. Our fears of sexuality may not fall into neat categories of emerging or something else. Is it a story of risk? You betcha. Does it involve compelling mystery? Yeah, no formulas or six easy steps. Does it bring up strong emotional reactions? Sure it does. Is it a way of love and healing? Well, yes it is. Love and healing. That’s pretty edgy anytime. I concur. Read more here. A global world means a multicultural, pluralist, interdependent and interconnected world in which we will all be constantly and profoundly affected by new developments in information and communication technology, by the continued democratization of knowledge, practical skills and generally available know-how, and by internationally operative business, managerial and organizational techniques. This is not a world to be feared; it is simply one that will be continually reimagined – and it is time for the Christian church also to look afresh to its internal culture, its construal of the biblical narrative, and its supposedly gospel-oriented prophetic role in the contemporary world. Only by doing that can the Christian church move out beyond the decaying and collapsed structures of Christendom, forestall its persistent fefusal to indwell the biblical story, and overcome its loack of polical and ecumenical capital and cogency in a fast-changing world. Only in this way will the church become suitably skilled and equipped to negotiate a new role for itself in the new metaspace, or metavista, that is opening up before us.